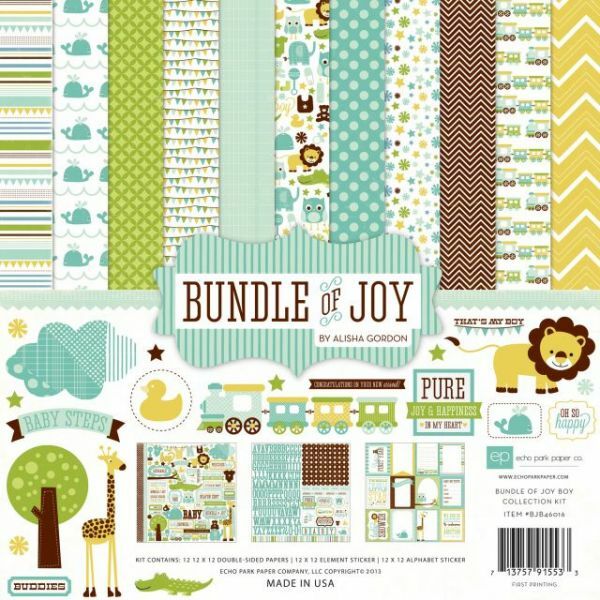 Bundle Of Joy Boy Collection Kit - ECHO PARK PAPER-Bundle Of Joy Boy Collection: Collection Kit. This kit contains a variety of fun pieces that are great to start off a new scrapbooking project. This package contains twelve unique 12x12 inch double-sided scrapbook pages, one 12x12 inch sheet of element stickers, and one 12x12 inch sheet of alphabet stickers. Acid and Lignin Free. Made in USA.